How many times have you been enticed into buying a quirky table lamp online that looked and sounded so good that you simply could not resist yourself from adding it to your shopping cart online? 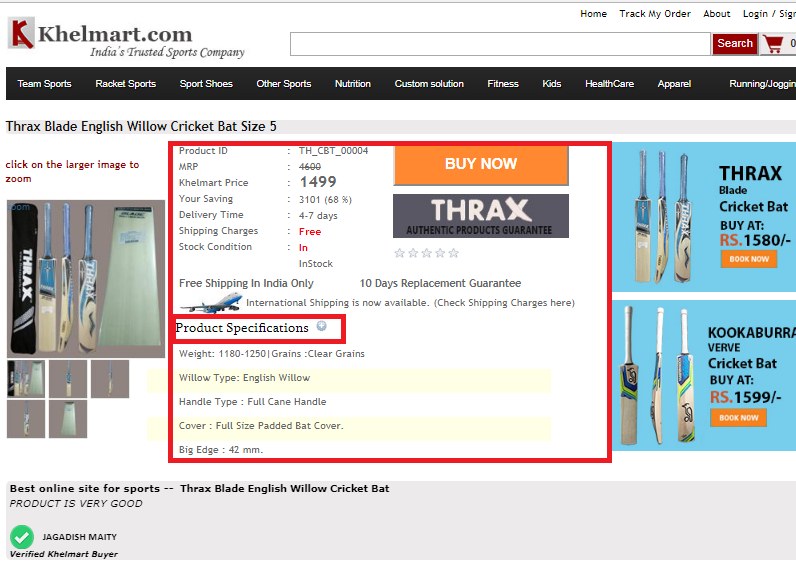 How many times do you check the product specs when ordering a gadget online? If you pause to think about it, you will realise that a considerable chunk of your online shopping game is played out through reading the specific and detailed product descriptions of the things that you wish to purchase online. Leading market surveyors Salsify reported that more than 87% of the online shoppers place a high value on product descriptions as important factors for making a decision regarding a purchase. The stats are actually tipped in favour of the importance of having well-written product descriptions for your products and services. Here are some quick stats about the importance of product descriptions in the minds of your oh-so-valued customers. The most desired types of information that consumers seek about the products that they view online are product descriptions (76%), reviews (71%) and images (66%) – in that order. The need for having unambiguous and clearly-worded product descriptions that include the technical details of your products and also factor in the keywords for SEO is thus the need of the day if you wish to rake in more business for your ecommerce enterprise. 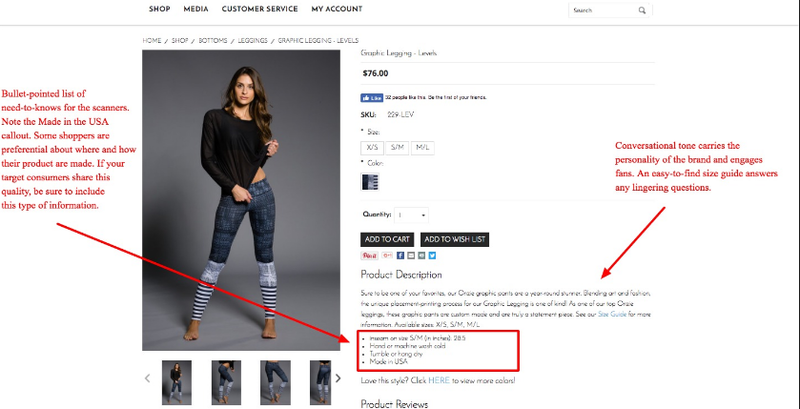 Why do you need engaging product descriptions? Getting creative with your product descriptions is an exercise that you should try out at frequent intervals. 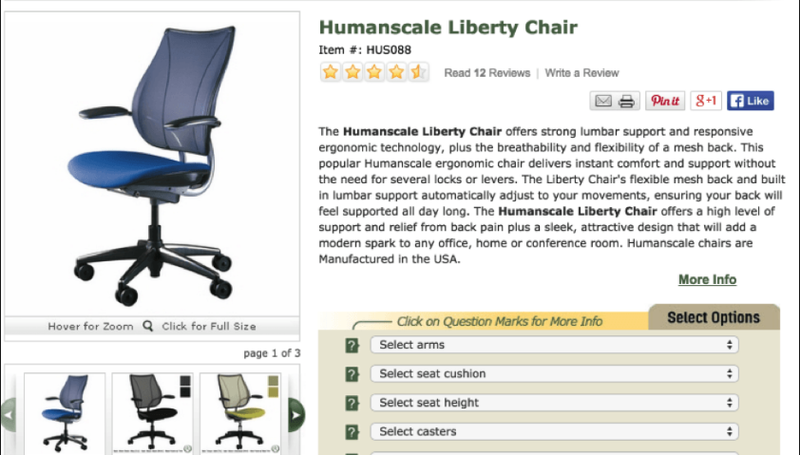 If you are wondering why you should be going into all that trouble for composing product descriptions by yourself when you can simply rehash the manufacturer’s catalogue descriptions, you should be revising that strategy right now. (i) Search engines HATE duplicate content for it confuses them. They cannot decide which page(s) featuring same content should be ranked higher in the SERPs and thus do not provide positive rankings to any of the pages. This results in your rankings falling a few places and affecting your visibility the wrong way, making your online marketing strategies a total dud. (ii) Manufacturer’s catalogues usually focus on the many specifications of the products and are heavy in technical jargon. When you display a product on your page as an online marketer, you should be focussing on the perks that those product specs bring for your customers, so they are enticed into purchasing your product. You can cash in on the benefits of having splendid product descriptions by tying it to your overall marketing strategy for better conversion rates. Here is why you should be paying much more importance to your product descriptions for the growth of your business right from today to cash in on the immense potential they have to offer. Whether you sell apparel or pet accessories online, you should focus on the factor that you need more customers to visit your website to purchase your product. Attractive and high-resolution images work fine as a part of the product descriptions, but you need rocking content to complement those images as well. Studies show that a large number of consumers read the product descriptions very carefully before making a purchase, so why not pay attention to how you market your products and services to them? You should ideally be aiming for product descriptions that make the customers want to buy your products right there and right then. If you are a small online retail chain slowly working your way up the ecommerce ladder, refurbishing your product descriptions may rake in more revenue for you, and here’s why. Since product descriptions are a detailed account of what you sell and the exact contents of your products, you will be able to spread brand awareness through them as well. While stashing in too much product specs is not the way to have ideal product descriptions, you should be aiming for the optimum mix of technical lingo merged with marketing catch phrases and keywords to turn the tables in your favour. Harp on the many benefits that your products will bring to the lives of your consumers, and you will have created the cornerstone for your brand to stand the test of time. Since you get to have the upper hand when it comes to composing product descriptions, you can play around with inviting terms, a refreshed vocabulary and of course, keywords. While optimising your website for search engines relies heavily on the use of keywords relevant to your domain, you might think that your rankings will suffer in case you do not have a lot of content on your page right now. This is especially true for the small and medium businesses who somehow fail to make it to the big league due to the lack of content on their web pages. A way around this problem is to include the in-demand keywords in your product descriptions, so your SEO strategy works with clockwork precision and results in getting more traffic your way. Smart online marketers truly understand the potential of product descriptions, and looking at some of the bigwigs’ websites in your industry will give you a fair idea of how true this is. Product descriptions play a huge role in the decision-making process for the consumers, so you should be looking for ways to make it so appealing that your customers would not want to leave your website without purchasing the goodies that you have to offer. From inviting potential customers to your site to building goodwill and establishing rapport with them, having great product descriptions can take your business a long way towards all-around growth. Include specific and eye-catching product descriptions for your business and watch as the conversion rates soar to the skies. Nathan William is a senior programmer at a software agency in Melbourne and Cdr Engineers Australia expert at MyAssignmenthelp.com. He likes to share her IT expertise for computer engineering with students struggling in writing assignments. As an IT expert, she is experienced in creating customised CDRs for Engineers in Australia.